A local Sacramento politician recently issued a threat to punish businesses who disagree with him. His threat barely received a blip in the news. In a recent State of the City speech, West Sacramento Mayor Christopher Cabaldon said he would “make sure that not one penny of the hundreds of millions of dollars” his city spends on construction projects would go to companies that would undercut the Blueprint and thereby hurt West Sacramento. Is this how business is done now? The seriousness of this type of behavior by an elected official should send a chill throughout the business community. This is a shame because Cabaldon has done an admirable job of supporting policies to allow the growth of the once industrial West Sacramento into a thriving, viable community. Last week the Sacramento Bee ran an editorial supportive of the Sacramento Area Council of Government’s governing board vote on a resolution to reaffirm the council’s support for the region’s “Blueprint” growth strategy. The “Blueprint growth strategy” is another sustainable communities plan, spawned from Senate Bill 375, and AB 32, the Global Warming Solutions Act of 2006. SACOG board members, made up entirely of local elected officials from the region’s six counties and 22 cities, are being asked to back the agency’s staff on the sustainable growth plan. But a local building association charged the SACOG staff with lobbying on behalf of SACOG. The Editorial Board of the Sacramento Bee claimed the recession is coming to an end. But Sacramento and California still top the nation’s unemployment numbers. The Bee has rarely attacked other area developers, particularly the local cabal supportive of Democratic politics, politicians, and causes. 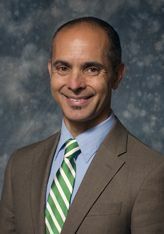 But the video above makes clear that in his recent State of the City speech, the threat that came from West Sacramento Mayor Christopher Cabaldon, was unequivocally directed at Region Builders. Cabaldon, a Democrat, said he would “make sure that not one penny of the hundreds of millions of dollars” his city spends on construction projects would go to companies that would undercut the Blueprint and thereby hurt West Sacramento. The Bee claimed Region Builders has attacked Cabaldon, who is a strong SACOG supporter. But in his recent State of the City speech, Cabaldon said he would “make sure that not one penny of the hundreds of millions of dollars” his city spends on construction projects would go to companies that would undercut the Blueprint and thereby hurt West Sacramento. The Twitter account for Region Builders and friends who responded, tells the tale. It’s no secret that Region Builders supports the SACOG blueprint. Region Builders says it has worked hard to promote regional cooperation. And, Region Builders reported via Twitter they have tried, unsuccessfully, to meet with Mayor Cabaldon for the past three months. So, rather than sitting down to talk, apparently Mayor Cabaldon launched an attack of Region Builders during his State of the City, where he threatened to block members of Region Builders from doing business in West Sacramento. The coalition was left with no legal option other than to seek protection from Mayor Cabaldon’s threat for its member companies. Region Builders hired San Francisco attorney Harmeet Dhillon to address the Mayor’s threat. @SacBeeEditBoard @regionbuilders @mayorcabaldon Elected officials cannot be allowed to threaten retaliation against those who disagree. Ever. While the Twitter fight played out, the Mayor said he promised to “forgive” members if they repudiated Region Builders. Cabaldon suggested he would push for prosecution of members who did not. And more recently the Mayor escalated the conflict when I heard he suggested that members of Region Builders were responsible “if his mangled corpse was found in a ditch.” And the Mayor claimed Region Builders was pushing a recall against him. Only a politician (@mayorcabaldon) would threaten the jobs & businesses of those who disagree, then whine on FB when they stand up to him.